Dr. Gary Perlman started practicing periodontics in 1985, after receiving his Certificate of Advanced Graduate Study in Periodontics from Boston University Goldman School of Dental Medicine. He opened his practice in Jacksonville in 1989. 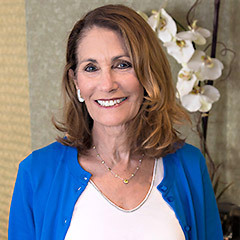 Throughout his long career, Dr. Perlman has dedicated himself to providing his patients with the most up-to-date and highest quality periodontal treatment in a caring and professional environment. Dr. Perlman is committed to using the latest technology and minimally invasive treatments, and he makes it a point to stay current regarding the latest technical developments in periodontics by obtaining extensive continuing education. Dr. Perlman’s patients report that it is his extensive knowledge and expertise that inspire trust and confidence in his dental treatment. 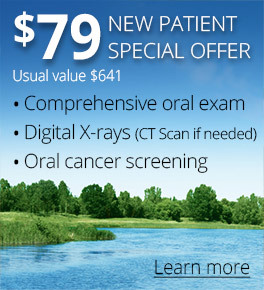 They appreciate his thorough approach, his reassuring manner and his concern for his patients. That realization still remains true more than thirty years later. He loves using his skills as a periodontist to bring about a transformation in a patients’ dental health. The relationships he has established over time with his patients and with the Jacksonville community are also of vital importance to him. After graduating with honors from the University on North Carolina at Chapel Hill, Dr. Perlman, received his dental degree from Emory University School of Dentistry. It was at Emory that he developed his interest in periodontics. This led him to Boston University where he received his Certificate of Advanced Graduate Study in Periodontics from the Goldman School of Dental Medicine, one of the most prestigious post-doctoral training programs in the United States. He continues his education and training to this day. Dr. Perlman obtained his Fellowship certification from the Institute for Advanced Laser Dentistry. He is also one of the first periodontists in the United States to be trained in the Chao Pinhole® Surgical Technique, which is the latest advancement in gum recession treatment. Dr. Perlman maintains a reputation for integrity and excellence among his patients and his peers. 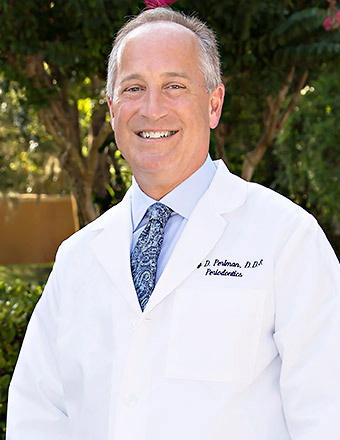 He has served as president of the Jacksonville Dental society while Jacksonville Magazine has repeatedly named Dr. Perlman as one of Jacksonville’s best periodontists in their annual “Best Dentist” review.